Nassau is a gorgeous island with crystal clear turquoise water. However, there are much nicer islands in the Bahamas and nearby Caribbean that call to the Wesley’s. 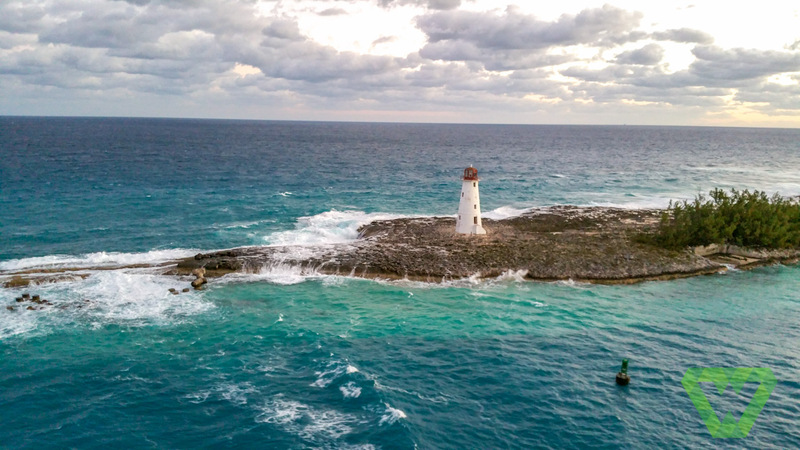 Nassau is a great place to spend a day soaking up the rays, exploring large hotels, or viewing historic sites. Would we spend more than one day there? probably not. Atlantis gets a lot of hype. It’s huge and lavishing in many ways. There is a water park of sorts in the northern end of the complex. There are stingrays and sea turtles to see around the center of the building. Inside, the Chihuly glass sculptures take on an awe-inspiring gaze. I think I counted at least 15 scattered throughout the premises. In truth, it’s the equivalent of a Las Vegas hotel. Most of the hotel’s areas are blocked-off for only guest staying at the hotel or tourists who buy an over-priced day pass. We had been to Vegas and Disney recently and just didn’t comprehend the hype. Plus, some of the hotel and water area looked a bit dirty and run-down. . Even for non-paying visitors, there is lots of vegas-style shopping, dining, casinos, art, a turtle viewing area, and fantastic architecture. Friends who have visited the waterpark say it’s one of the best ones they’ve been to and it’s a mix between an aquarium and a huge themed waterpark. However, while we were there we heard horror stories about long lines and closed exhibits. We didn’t see the value in spending hundreds of dollars for our family to play at the waterpark when we have one (and an aquarium) near our home. Your mileage may vary. Regardless, if you aren’t spending the day at the beach, Atlantis is still nice to see and should be on the list of things to do on the island. Obviously, Nassau is not one of our favorite islands. Our excursion booked through Carnival was cancelled so we decided to take a tour of the island. One of the highlights on Nassau was a fort- Fort Charolette. It was built in 1788 by Lord Dunmore. This fort has a moat, dungeons, underground passageways, and 42 cannons. The view from the top is pretty spectacular. We visited a straw market and saw some of the city. At the end of the tour we asked to be dropped off at Atlantis. After spending an hour there we caught one of the many affordable taxis back to the cruise dock (about 10-15 minute drive). All in all, I enjoyed touring the island and seeing the day to day life. Does Nassau call to me to visit again? No. If we do visit again while on a cruise, we’ll choose an excursion that includes swimming with the dolphins or some watersports.